Honored to be part of DisruptED TV Teacher Sparks! Mentoring often occurs organically once a new school leader enters your building or district. You take them under your wing, you help them through the paperwork, you’re the listening ear that they need. It’s a friendship that forms and often lasts for years. Aspiring School Leaders learn pedagogy and theory in leadership programs. It’s YOU as practicing school leaders that can share with them the day to day “real life” of a administrator. Remember your first year? Wish you knew something more prior to going in? Now’s your time to give back and help others! You know what you’re looking for in a fellow administrator. Share this so the TOP candidates are out looking for jobs. GROW our profession. Think of a person who has made a huge impact on you – now pay that forward. It’s such a HUGE gift to give that takes little time each month. Make a phone call, Vox, do a Google Hangout, email. Relationships matter and help mentees tremendously! Mentoring is a small thing that adds up to BIG rewards to a future leader. Are you ready? Do you support building greatness for our students by bringing top leaders into schools? Can you commit to having this authentic, helping relationship for the next ten months? No set times, you and your protege decide what works best for you. We have a cohort of aspiring leaders ready for you! We are in need of leaders in ALL areas!! We also host short webinars for these aspiring leaders. If you would be interested in sharing your experience this way we would also appreciate your support. Sign up or suggest your area of expertise! Are you an Aspiring School Leader? Are you following the #NAESP and the #NCP conference through social media and thinking “that will be me someday?” Then THIS cohort is for you! According to the National Association of Secondary School Principals, “the demand for elementary, middle and high school principals will grow 6 percent nationwide” over the next four years. Do you feel prepared? Having a mentor at any stage of your career is so beneficial, but often doesn’t happen after student teaching, unless people personally seek a mentor out. Time constraints and location can often prevent strong mentoring relationships from being formed. Today, online relationships are often how we connect for personal growth and learning – edchats, blogs, webinars and personal PLNs — strong mentoring relationships can also be built through these same digital means! There are SO many great leaders across the United States that are willing to reach out and support the next generation of school leaders! Our goal is to support aspiring leaders through a series of webinars held by some of these inspiring top leaders. In addition to the FREE webinars, we want to match experienced leaders up with future leaders in mentoring relationships. We have personally experienced and know the value of mentorship and know it doesn’t have to occur face-to-face. Tools such as Voxer, Google Hangouts, etc will be utilized to make these unique relationships happen. Could you use the support? Know someone who could? Even if you are thinking about only watching the webinars, please take a few minutes to register below. This will help us see what webinar topics would be most helpful to you as an aspiring leader. Still not sure? Check out what we did last year – www.dreambigmentorship.com. Almost half of the active participants in the cohort landed admin roles this year!!! ARE YOU ALREADY A SCHOOL LEADER????? Sound like giving back and helping others? Join us — YOU are exactly what we need to make the program successful! Sign up today to be a mentor or a webinar host. Their tips are definitely worth sharing to all job seekers though! Check out these tips to ace your next interview! I never would have thought that when I named my blog “Journey in Learning” that I would write an entire post on it, but 2017 has definitely been a Journey in Learning! In 2017, after, well, many years, I found my personal strength, my voice, my passion. 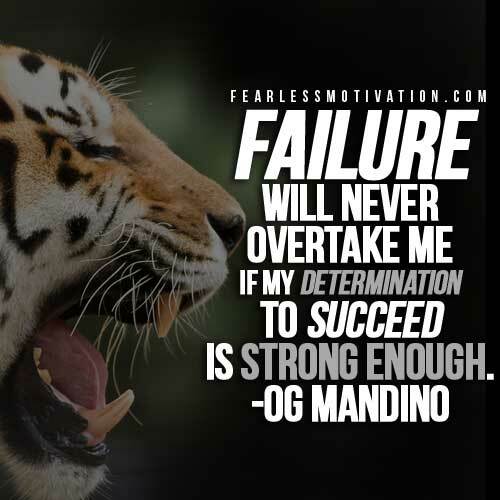 I found my fight, my determination and my resiliency. I found me! I encourage others to do the same. Special Education will ALWAYS be a passion of mine. I’ve taught Special Education for over 15 years at various levels. So this spring I ran with it! 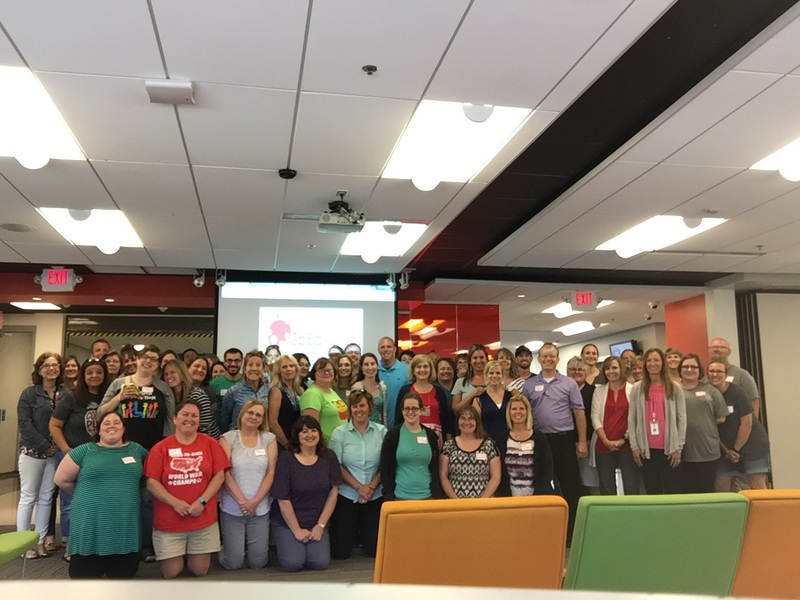 I am humbled to share that I was able to create, organize and run Ohio’s first SpEdCamp! In its first year, over 75 educators came together to talk about supporting students with special needs. SpEdCamp 2018 is already being planned with plans to be bigger and support even more people and students! What’s your passion? Turn it into reality! This year I took risks and tried new things! I hosted Twitter EdChats, mentored, presented at a conference, switched jobs, created an online mentoring community (see below), hosted book chats, started a website, and attended conferences. Spread your wings — fly! After another round of applications and unsuccessful interviews, I reflected and realized that what I thought were the “perfect” jobs, probably weren’t the right ones for me after all. I learned from all of these. After each interview, I took notes. I’ve refined my portfolio and resume. I’ve increased my skills. I’ve talked to my mentors. I’ve read, and read, and read! I’m ready to conquer 2018! If I had successfully found a leadership job I’m not sure the 2nd half of 2017 would have been as epic as it has been! Good things come to those who wait, right? My Journey in Learning has been filled with many other life lessons this year. I grew. I continue to grow. I am happy, but I am also ready for 2018! How would you define your Journey in Learning this year? I’m an avid reader, usually having a couple of books, journals, magazines all going at once. 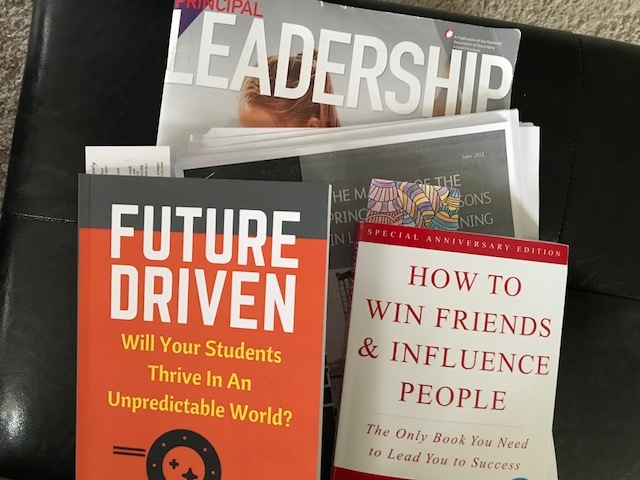 I’m currently reading (and loving) David Geurin’s (@DavidGeurin) Future Driven and Dale Carnegie’s classic, How to Win Friends and Influence People (which is also part of a book chat I’m participating in). Both books talk about the importance of showing others they matter. I strongly believe that we should acknowledge those who have made an impact on us. There are many people this past year that have allowed me to reflect, push further, dig deep, cry, smile, laugh out loud, and lead me to be a better me. They are impact makers! These people are educators, leaders, students, parents, family members and even the local postmaster! 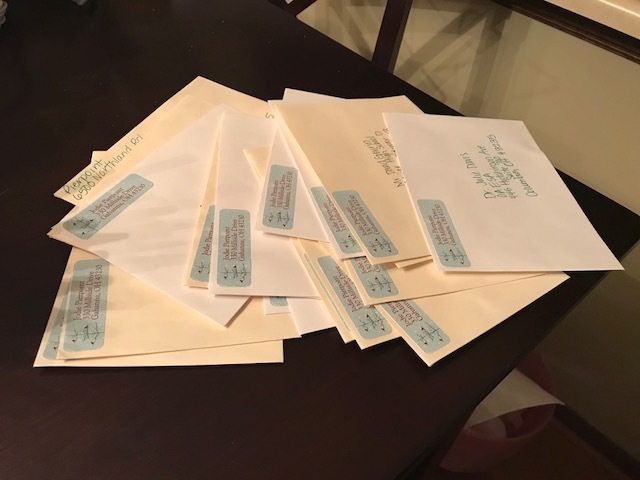 So this weekend I sat down and wrote them all personal notes. Twenty-two notes. Yes, it took time, but for every note I wrote, I reflected and thought about that person and only that person. They need to know that they had made an impact. One of my impact makers has passed away. Her husband will receive my note. It was an amazing feeling to write these notes. As educators, we need to think about the people who inspire us, make us think, and make us better. We may give them a shout-out tweet or say something in an email, but an unexpected handwritten note just does something more! I encourage all of you to think of at least five people to write letters to this week. One a day. Tell them you’re proud of them. They motivate you to be better. Share how they’ve made you be more reflective in your practice. Tell them you appreciate them. Five people. Who are your impact makers? My heart is full of happiness and gratitude as I think about what my life is blessed with today. I get to wake up every day and go to a school I love to work in, with students and colleagues that make me better. I also get to connect with friends from around the United States that help me grow, learn and dream every day. When you’re surrounded by greatness, you can’t help but to feel blessed. When I reflect upon my year, it’s hard not to recall a short period of time where my life felt different. A little darker. Lots of questioning. Hurtful words. But as I processed through these; reflected, forgave, and learned, I realized that I am grateful for them as well. It evoked something. I made an action plan. I found people like me! I found people who wanted to support people like me! Being able to bring like minded people together is a dream come true. I am humbled and now tears of joy fall from my eyes. I realized that with hard work and perseverance dreams do come true! So today, my heart is full, happy, and excited about the future. I am so grateful for those in my circle who support and encourage me. I am thankful for those who were once part of my journey too. 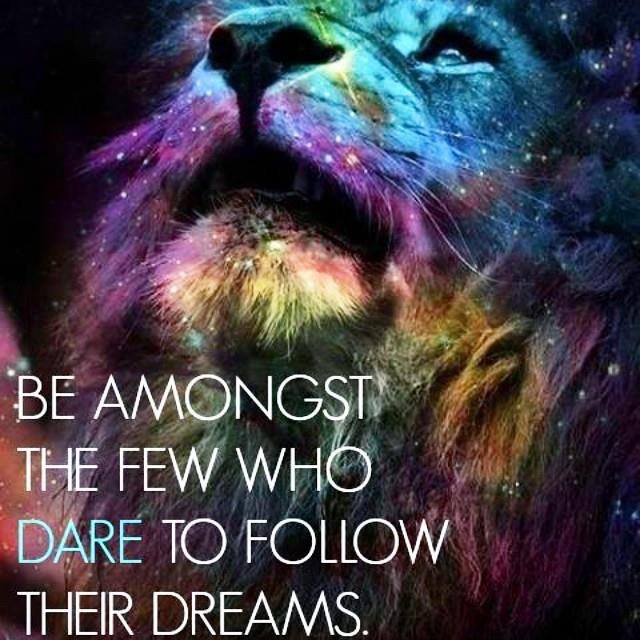 Many people have provided building blocks to who I am and who I’m becoming. I am filled with hope and inspiration. I’ve always believed in the power of collaboration! 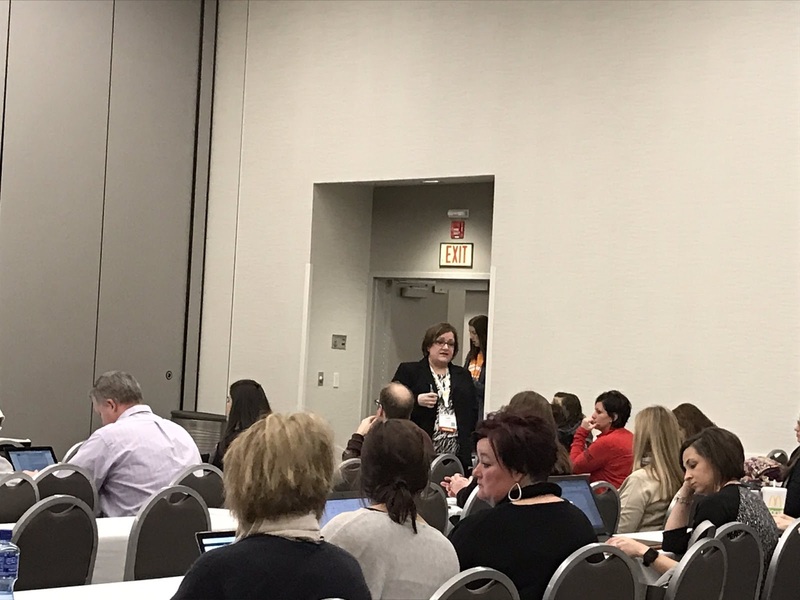 I’ve collaborated on blog posts with amazing educators, worked with others to bring Ohio’s first Special Education based EdCamp (@SpEdCampOH) and collaborated on many book chats. We truly are better when we work together. But I am overwhelmed and humbled by the dedicated school leaders who are offering their time and dedication to collaborate with me to provide mentorship and webinars to aspiring school leaders this academic year. We have a cohort of aspiring leaders ready for you! Please sign up here to mentor TODAY! We are in need of assistant principals, middle school leaders and directors of SpEd, Curriculum, Tech, etc. especially! We are also hosting short webinars for these aspiring leaders. If you would be interested in sharing your experience this way we would also appreciate your support. Our *DREAM* is to get enough sponsorship to have the aspiring leaders meet up with current leaders at NPC18! You could be part of this inaugural EPIC event!! Aspiring School Leaders — THIS is for you! Having a mentor at any stage of your career is so beneficial, but often doesn’t happen after student teaching, unless people personally seek a mentor out. Time constraints and location can often prevent strong mentoring relationships from being formed. In addition to the FREE webinars, we want to match experienced leaders up with future leaders in mentoring relationships. We have personally experienced and know the value of mentorship and know it doesn’t have to occur face-to-face. Tools such as Voxer, Google Hangouts, FlipGrid, etc will be utilized to make these unique relationships happen.